Does it work? 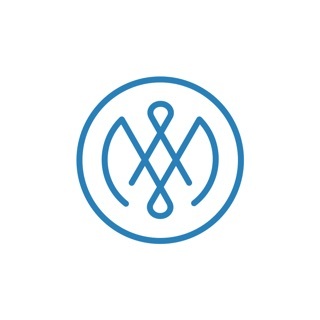 4 million people have used Mindifi's Deep Sleep and Relaxation hypnosis, a #1 Medical app in the U.S. and 45 other Countries. You know that a good night's sleep makes all the difference. To have a full, productive day is difficult if you have trouble sleeping. Sleep deprivation negatively affects every aspect of life: work, love, finances, creativity, relationships, health, and spiritual well-being. Whether you are unable to get deep rest each night or can’t relax, we’d like to introduce you to Sleep and Relaxation Hypnosis. 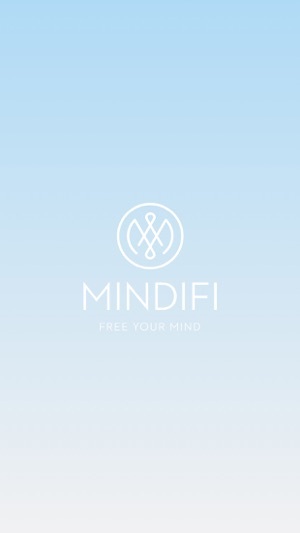 Mindifi uses advanced hypnosis techniques, along with calming sound effects, music, and beautiful visuals, to create a meaningful and restful experience. 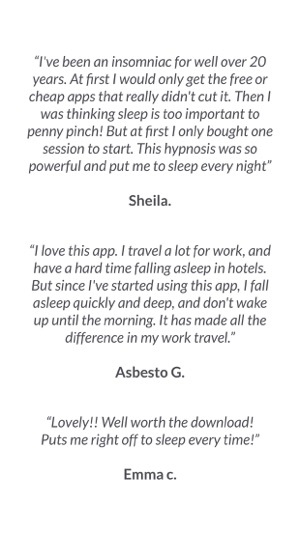 “This app is the only thing that can get me to sleep on those nights when I just can't seem to stop thinking!” - Abster G.
“I was suffering from insomnia for almost 2 years waking up in the middle of the night or unable to fall asleep etc. Now I lay down and mentally tell my mind the words deep sleep and I'm out like a light. Thank you!” - Matthias B. “My little brother is always disturbing me. But when i try this app, and try it on him, he actually fall asleep. So that is why i rate 5 stars for this app is useful. Download this app it’s incredible” - Imam P.
“Amazing. My first time it felt strange because I hadn't done anything like this before. 2nd time and every time since I'm ok. I've downloaded almost all of them! They've helped in just about every area I need improvement! Thank you to whoever took the time to make these.” - Hilary C.
“I’ve been a horrible Insomniac with sleep apnea since i was a child-it takes copious amounts of sedatives for me to fall asleep. Due to a major decline in my health i can no longer use sedatives and am now forced to use a Bipap and oxygen machine to sleep with at night. 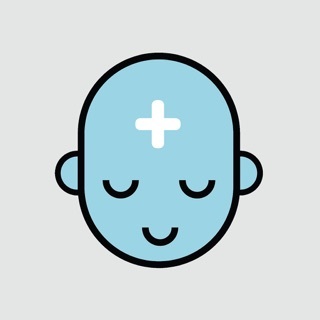 The mask drives me insane and after weeks of broken sleep and no sleep i ran across this app while searching for meditation. I was skeptical but desperate but to my surprise it put me to sleep within 15 mins the first night and ten mins the second! !” Ashley D.
“I recently had an injury that kept me from going to sleep. I would toss and turn trying to find a less painful, more comfortable position that simply was not there. I tried the Sleep Like a Baby session as a last resort and was able to go to sleep without all the pillow punching and log rolls that kept me from sleeping the night before. Once I allowed my mind to let go of outside sounds and turned myself over to the recording, I lost track of the pain and fell asleep. 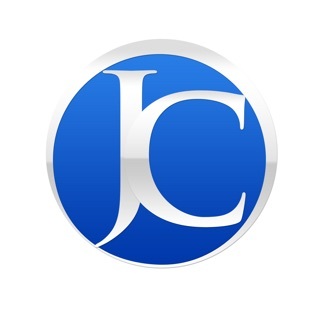 I woke up this morning feeling better than I have in a long time, and I have this app to thank!” - Terrie V.
“I was at the end of my rope - ready to go back to the doctor and try yet another sleeping pill. Until I found this!! It still may take me two 'sessions' to fall asleep, but I find myself actually looking forward to bedtime and my relaxation session. I have a partner that snores something fierce and I no longer want to smother him with his own pillow! 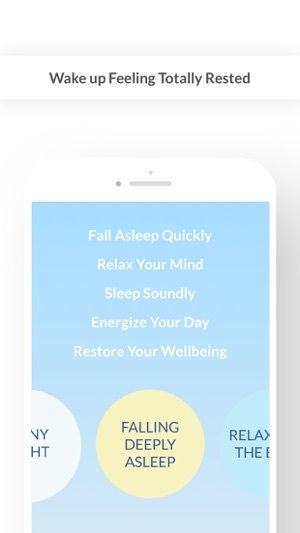 The peaceful partner app is worth the price of admission. The only thing you have to lose is a good nights sleep. Get this app” - Becky B. 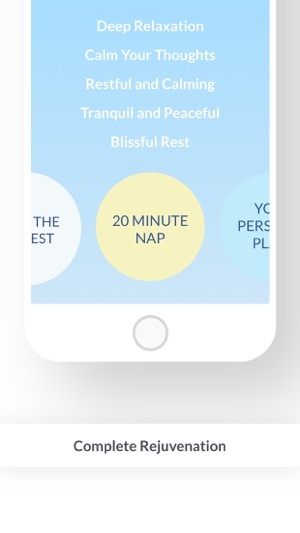 1) Sleep like a baby- Enjoy FREE on us! Join 4 million other listeners in the world of Mindifi. The Deep Sleep II is fantastic! I use these types of programs to help with my severe insomnia and I must tell you, this app is fantastic! I love the imagery, the tone and tempo of the speaker, and the background sounds. The description mentions that this program has the sound of a waterfall for the last several minutes, but I will just have to take their word for it. I haven’t been awake that long to hear it! I would have given this app five stars if it wasn’t for one issue. 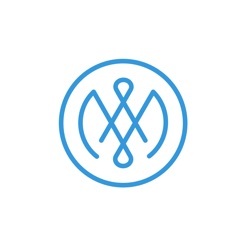 The other apps developed by this company will allow the user to lock their iPhone or iPad and still be able to enjoy the program. Unfortunately this app will stop the program if you lock your device so you are forced to leave your device on, with the light filling the room, for the entire time. I have tried turning the iPad over but that isn’t ideal in my room as I don’t have space on the nightstand for it. I have to put the iPad on the bed with me and there are too many things that can go wrong with that arrangement while I sleep (Roll over on it, knock it off the bed, scratch it, etc). If the developers would just make that one change so it works like their other apps, that would be great. It would definitely be a five start app after that! We had changed the audio because we were getting complaints that the narrator wakes you up at the end of the track, which isn't conducive to falling asleep. We are considering solutions to allow access to the Legacy audio which would enable you to listen to the old version. This truly works for us! My husband and I have used this for years. Jet lag, stress, anticipation what ever keeps us from sleeping this app never fails! I often fall asleep right away but wake up around 3am, this puts me back to sleep and on a regular sleep schedule. It may take a few times to work but keep with it, it’s a life saver. As other reviews said, sleep is too important to be cheap, buy this app and get back to sleep.